Receptionists: Answer phone, give information, refer calls, help with light paper work. Assist with Mailings: Assemble mail accordingly, and put on labels. SHIIP Volunteers: Assist people with Medicare plan supplements and other insurance needs. Will be trained by the NC Department of Insurance. Senior Center Representative: Attends fairs to promote the senior center and give out information. Volunteer Instructors: Able to instruct specific subject or activity. 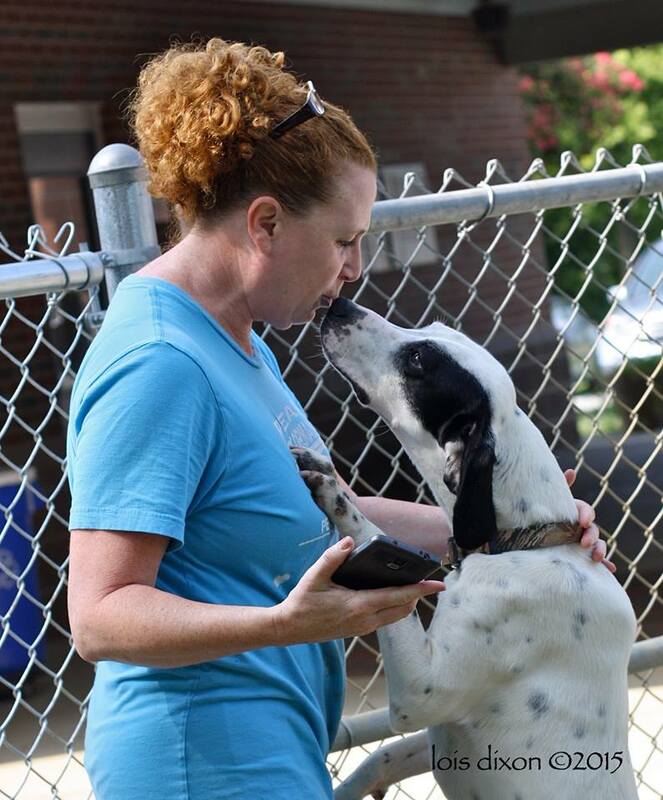 Animal Services offers a wide array of volunteer opportunities. 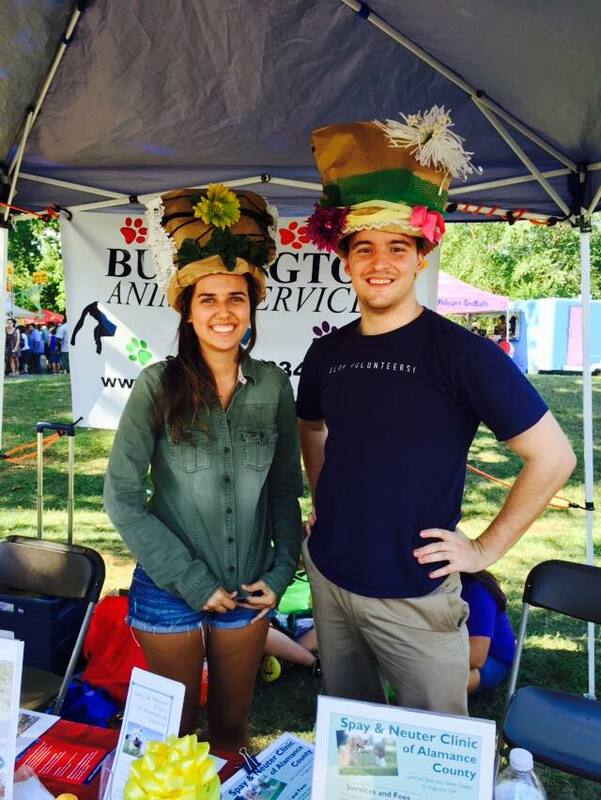 Visit Animal Services Volunteer Page to fill out an application. Pet Pal—This involves walking, talking to, and playing with adoptable dogs and cats. These animals need exercise and attention. Volunteers can play with them in special areas at BAS and shower them with love and affection. A socialized cat or dog will become someone's pet much faster. Dog Obedience Training—Most BAS dogs are eager to learn their manners and would benefit from learning the basics of sit, stay, down, etc. Well-mannered dogs get adopted faster. If volunteers have any experience in obedience training, BAS welcomes them to help train BAS dogs. Grooming—Many BAS animals have not been cared for before coming to BAS. Their fur may be dirty, matted or shaggy from seasonal shedding. Their chance for adoption increases greatly if they have been groomed. Photography—BAS posts pictures of all adoptable pets on different websites and can always use volunteer help in getting good photographs of animals. involving BAS animals each month. each year and needs volunteers to fill out the certificates and collect fees. BAS can use volunteers at these clinics who have neat handwriting and good spelling skills. Hikes with Hounds—Burlington Recreation & Parks and BAS have teamed up for the Hikes with Hounds program, where volunteers take a shelter dog for a hike along one of Burlington’s beautiful trails. Hikes with Hounds offers enrichment by allowing some of BAS’s adoptable dogs to get away for a couple of hours to enjoy nature, socialize, and exercise. Hikes with Hounds will be offered one Friday each month at a hiking trail location at a Burlington park or along the Haw River Trail. Fostering—BAS needs dedicated volunteers to keep high-risk or at-need animals in their homes during short-term foster placements in order to help ensure positive outcomes for these animals. High-risk or at-need animals may include those with medical and/or behavioral needs as well as puppies and kittens. Laundry—BAS staff need help washing, drying, and folding linens used for cleaning and in animal kennels. Kennel Cleaning Assistance—Keeping animal kennels clean is a 24/7 job, so BAS staff welcome volunteer help in cleaning cat cages and dog kennels. The Burlington Police Department has many volunteer opportunities for recent Citizens Academy graduates. Contact the department for more information. “Each day, between 17 and 36 volunteers deliver approximately 250 meals to home bound senior citizens of Alamance County and surrounding areas… You can make many seniors happy in just 60 minutes with just a little gas and a warm heart," (http://www.alamancemow.org). In terms of volunteer opportunities, we have year-round opportunities in customer service (greeting members, folding towels, giving tours, etc.) and facilities maintenance (cleaning machines, etc.). We also have Special Events that occur throughout the year that we use volunteers to help with. Allied Churches depends on the generous service of approximately twenty volunteer each day.There are volunteer opportunities for individuals, school groups, churches, clubs and civic organizations. During the week, Allied Churches needs volunteers to help prepare and serve lunch and dinner; assist the homeless in finding jobs and benefits; or perform light office work in our administrative officers. On the weekend, the organizations could use help managing the emergency shelter. For those who like to work outside, Allied Churches always welcomes volunteers to spruce up the buildings and grounds. Additionally, Allied Churches is more than happy to provide guidance for groups thinking about conducting volunteers food drives or collecting items for homeless. For more information, please visit call the organization or visit their website. “Volunteers can get involved with the American Red Cross in multiple ways. The chapter has opportunities available in Emergency Services, Blood Services, Health & Safety Services, and Fundraising. We also have administrative opportunities available for volunteers in the chapter house," (http://www.redcross.org/nc/burlington). You will have the opportunity to volunteer with several after-school enrichment programs such as Dream Girls, Training for Manhood, Whiz Kids, or the Gold program. BHA also has an adult leadership training program, an entrepreneurship training program, and a family sufficiency program For more information, please call or visit their website. Creative Directions, Inc is need of volunteers ages 16 and up to help make phone calls, pass out flyers, assist with newsletter and work with local businesses regarding donations. They are a nonprofit organization that serves the socially and economically disadvantaged in the community. For a few hours a week, volunteers can bridge the gap between local businesses and the community in support of those in need and at risk. NO SOLICITATION is involved. Think you can help out? Call John or Alisa at 336.539.1015 or stop by our office at 427 Maple Ave (beside the post office) between 10am - 5pm. Check out the website at www.creativedirectionsinc.org. CrossRoads has been helping sexual assault victims in Alamance and the surrounding counties for over 30 years, providing prevention and community education, inter-agency coordination, and services to persons concerned with or experiencing sexual assault. There are several different ways you can help CrossRoads. Volunteer with the crisis intervention program, and you'll help provide the center with 24 hour crisis line coverage, or even accompany individuals to emergency medical exams. Spent time with their community education program, and help promote awareness and prevention education in Alamance County. Both of the aforementioned programs require completion of CrossRoads 20 hour training and a year-long commitment. Other opportunities include assisting in our office, helping with fundraisers by becoming an ad hoc committee member, becoming a board member, or helping with special projects. If you are interested in any of these opportunities please contact the center by phone or email. If you would like your non-profit organization listed here, please contact us via email.